Hey! What's That Nasty Whiff? 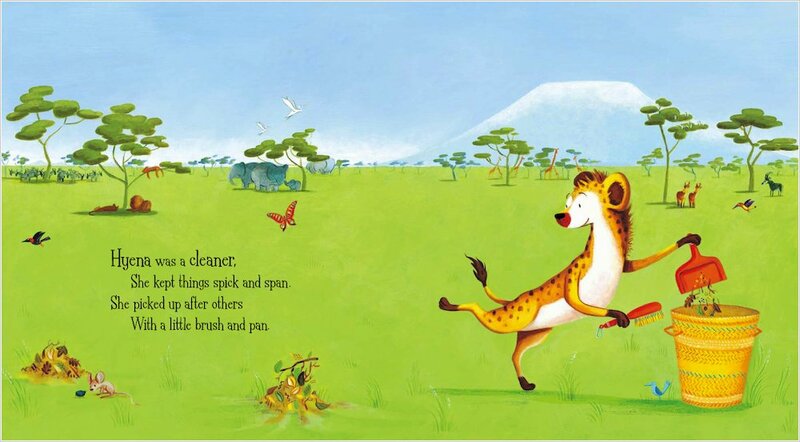 Hard-working Hyena spends all day scrubbing, scouring and scooping up everybody else’s mess. But the other animals never lend a hand – they just make even more mess! So when Vulture persuades Hyena to take a well-earned holiday, the savannah gets rather stinky… From bestselling author Julia Jarman, this is a wickedly funny rhyming tale in which Hyena’s friends learn that saving the planet is all about teamwork! 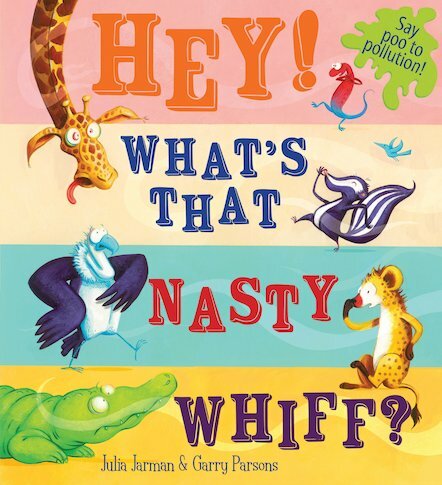 Go greener with Hyena from Hey! What’s that Nasty Whiff with these handy eco tips. Pledge to save the planet like Hyena in Hey! What’s That Nasty Whiff? with this downloadable certificate. The pictures are lovely and I liked the part when it smelt of poo and the animals decided to recycle and clean up the planet. I now help my Mum recycle our rubbish. Julia Jarman is a widely known and respected writer of over 100 children’s titles including HANGMAN, longlisted for the Carnegie medal. Scholastic publishes her TALES FROM WHISPERY WOOD series as well as her two older novels, GHOST WRITER and PEACE WEAVERS. Julia Jarman won the Stockport Children’s Book Prize for Ghost Writer in 2003.